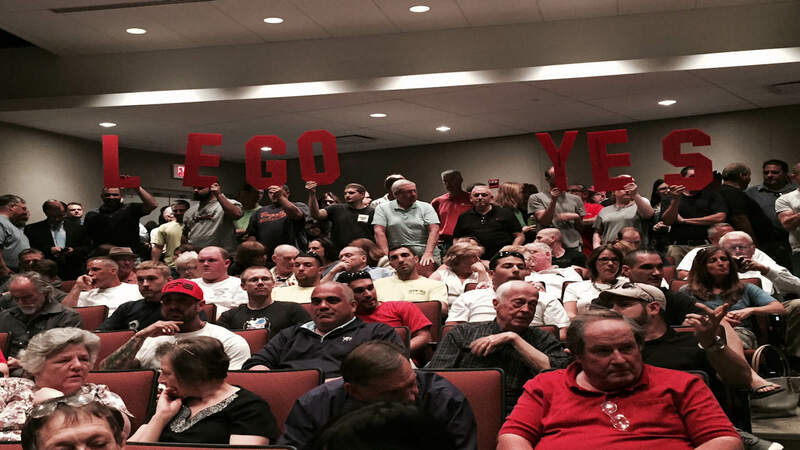 GOSHEN, New York (WABC) -- A Legoland theme park in the tri-state area may soon become a reality after developers unveiled their proposal for Orange County on Tuesday night. Officials from Merlin Entertainment PLC, the London based operator of the six current Legoland theme parks, were on hand at the Orange County Emergency Services Center in Goshen to provide details on the proposed Legoland New York project. "We don't have triple roller coasters with loops, we don't have screaming teenagers, we don't do rock concerts, we close at 8 o'clock. The ambient noise of Highway 17 will be louder than Legolandn" said John Ussher, the Senior Divisional Director of Legoland Development in his pitch to the town of Goshen. Orange County jumped at the chance to build the amusement park after neighboring Rockland County turned down the opportunity to build it last year. Legoland currently has theme parks in California, Florida, Denmark, England, Germany, and Malaysia, with a new location opening in Dubai later this year.